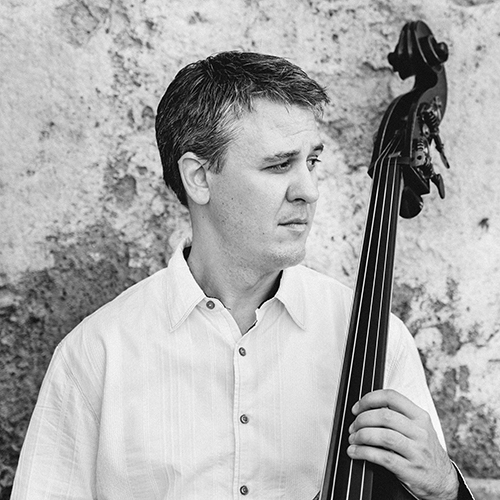 Sandor Ostlund serves as Associate Professor of Double Bass at Baylor University. He has performed extensively as a soloist, chamber, early music, and orchestral musician. He recently released a solo CD titled Leap of Faith and is currently the Principal Double Bassist of the Waco Symphony, the River Oaks Chamber Orchestra, and the Chamber Orchestra San Antonio. Other ensembles he has played with include the Houston Grand Opera, the Detroit Symphony, and the Australian Chamber Orchestra. As an active member of the International Society of Bassists, he has performed, adjudicated, and taught at several conventions, has served on the board of directors, as the classical recordings editor, and is currently the Chair of Competitions. He studied at the University of Wisconsin-Madison (BM) with Richard Davis, and Rice University (MM and DMA) with Paul Ellison. He has also earned both the performance diplôme and the teaching certificate from L’institut international de contrebasse François Rabbath. Dr. Ostlund has also held teaching appointments at West Texas A&M University and Shenandoah Conservatory.